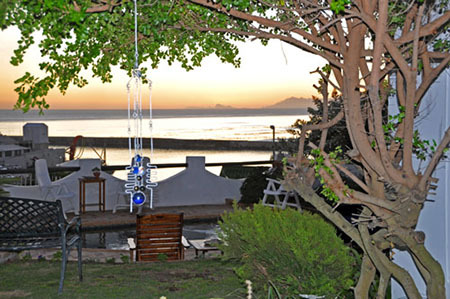 Saxon Lodge offers easy going and comfortable accommodation in Gansbaai, complimentary WiFi in all common areas and some of the rooms. Simple furnishings, with wood finishes gives the lodge a warm homely feeling. 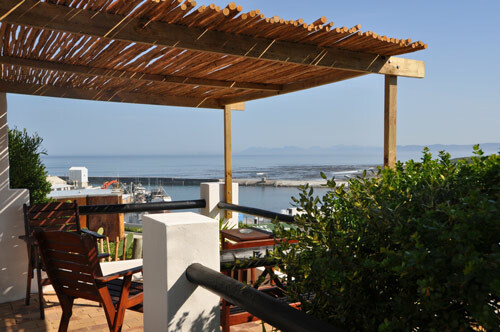 We are on hand to do what we can to ensure your stay in Gansbaai is delightful and full. Guests from all over the world check-in here and delight us with their company and stories. Come visit, we would love to host you. A comfy spot to sit back and enjoy some leisurely TV or your favourite sporting event or to put your feet up and read or simply relax. A hearth fire burns in winter, a great companion for a glass of local wine or hot chocolate, depending on your persuasion. 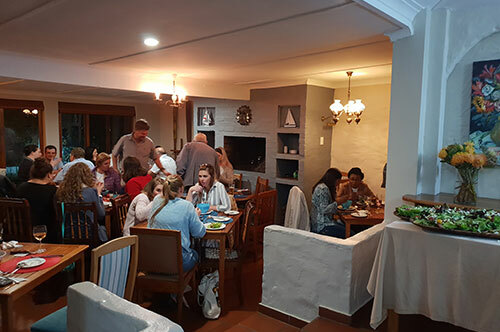 The Saxon Restaurant is the venue for our yummy, full South African & continental breakfasts and where, by arrangement, you can dine with other guests from the lodge for dinner. 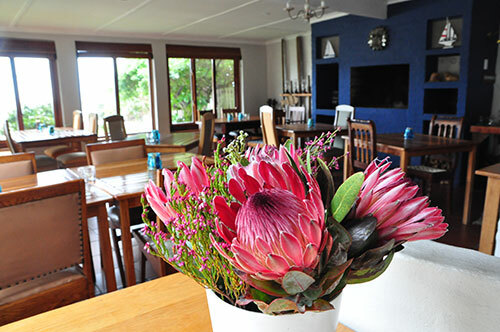 Caron lovingly puts together a short al carte menu or a 4-course buffet meal, depending on guest requirements. Meat and cheese platters are available most of the time and when produce is in stock. It would be great to have early notice about your intent to dine here as meals are prepared from fresh which needs to be purchased on the day. We do not run the restaurant for less than 6 patrons. The engine room for creating great meals all annointed with a strong dose of love. Caron’s meditational space delivers great 'home-cooked' meals with a special emphasis on desserts. Many of the herbs and vegetables used in the kitchen are harvested from our garden and our organic waste is composted and returned to the garden. We actively recycle other waste to reduce our impact on landfills and the environment. To this end we use reusable shopping bags and have a policy of no single use plastic bags being permitted into our lodge. Facing West, the deck is a fantastic spot for sundowners when the sky changes from blue through yellow, orange and red as the sun dips below the horizon. Or if you are up early enough you can watch the mountains light up as the sun rises behind them from the east and the day arrives in the bay. Dolphins and whales are often seen moving across the bay and flocks of birds fly close to the water in search of their daily catch. The harbour provides a busy point of interest as trawlers go about their fishing business, small fishing boats launch and return with their catch and lazy seals hang out in the water waiting for something to fall overboard. A splash pool is a welcome refreshment after a day of activities and sun and has a lovely ambient temperature most of the year. 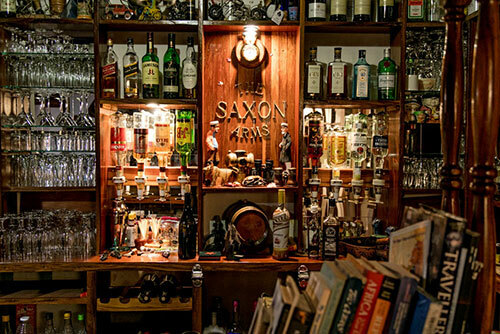 Dave’s pride and joy, the fully licensed and well-stocked bar is open to guests only and showcases the Overberg wines and local craft beers. 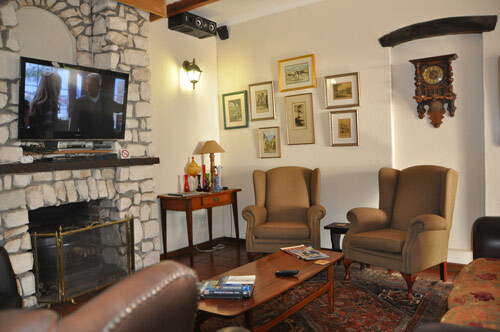 A great place to gather after the day's adventure to swop notes and socialise with other guests and your hosts. We buy locally within a radius of 50km to distribute the tourism spend to our local communities. This is why we only stock locally produced wine (Overberg region) and craft beers.